In the midst of the GOP and DNC national conventions, the trenches are filled with the local activists of one political persuasion or another clawing at the wheels within the wheels of local government politicking. TheACLU is right in the middle of the fight and, it has its hands full. 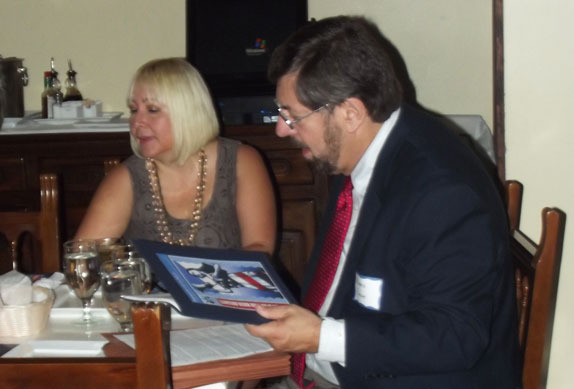 On the morning of September 5th , the ACLU hosted a breakfast for the Miami-area Hispanic media. The breakfast was organized by the Florida Association of Hispanic Journalists and the International Press club-Miami. On this occasion, the main objective was to muster some support for the ACLU’s legal and political battle against Florida Governor Rick Scott’s administration, which they are suing to oppose number of amendments (5,6 & 8) and, specifically at this moment, what the organization calls the “Voter Suppression Law,” a.k.a. HB-1355. This entry was posted in Uncategorized and tagged aclu, fahj, hispanic media. Bookmark the permalink.